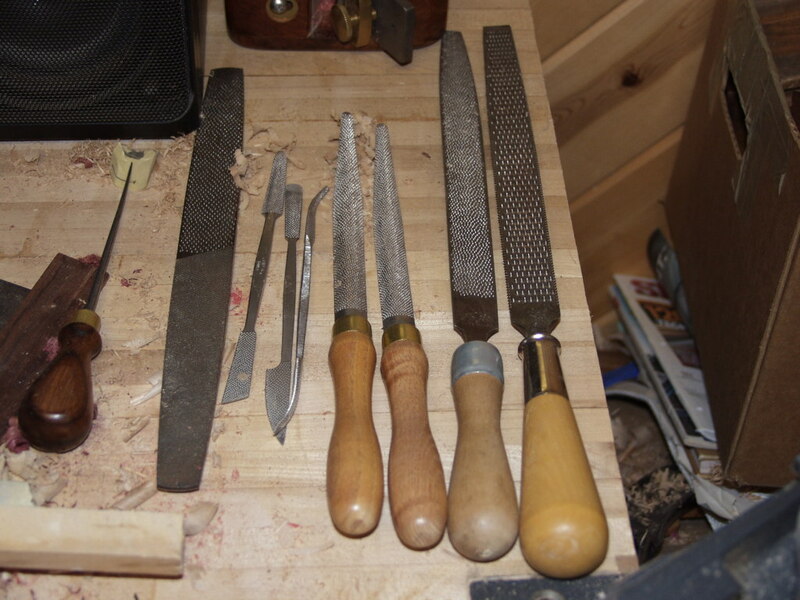 Here's the tools I used. An old Nicholson large 4-in-1, a set of Grammercy riflers, 2 Grammercy rasps, and a couple old Nicholsons, rarely the larger course, mostly the one with the nubbies. I rarely use the 4-in-1 either.